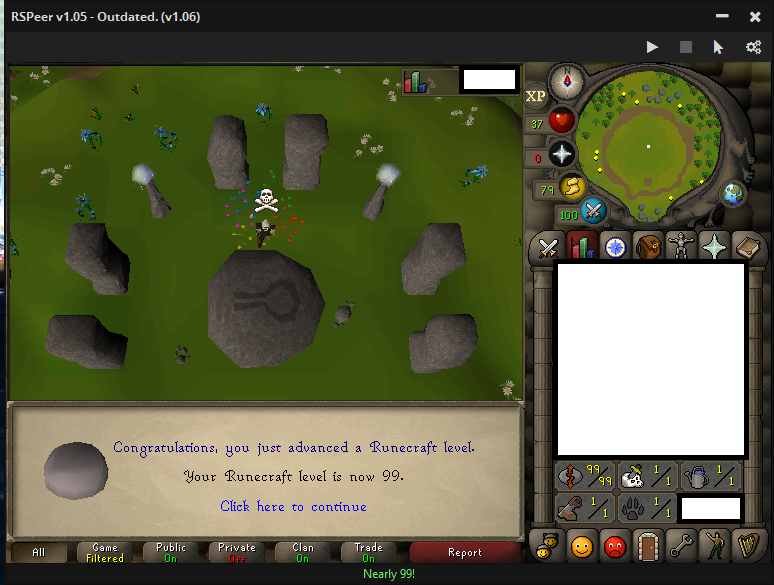 what will you do now with 99 rune crafting. quite? very nice, 16 times pked though :/? 2 times pked. 14 times teled out. already sold all lol. 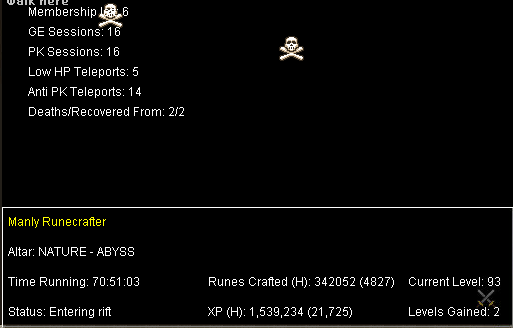 about 85m tho in that proggy. very nice, gz! how many hours a day on average did you bot? So...how much do i have to pay for this? Gimme gimme.